In Israel and Palestine, CFP is partnering with Jerusalem Peacebuilders (JPB) to enhance their U.S. camp programs. 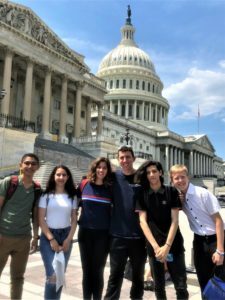 CFP’s contribution to the partnership is to provide opportunities for pairs of JPB campers, one from each community, to become better acquainted with each other through living with an American family for two weeks. This home stay can occur before or after their JPB camp, depending on various factors. CFP’s experience in Northern Ireland and in Cyprus has shown that this home stay usually results in stronger friendships between the teen pairs and that these friendships often extend to their parents and friends as they interact with each other as a result of the friendship of their children. Through social gatherings, community service and environmental projects, the teens will deepen their understanding of each other as they work together on common goals and build upon the important progress made in JPB’s summer programs .